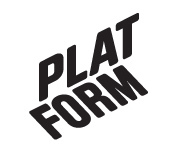 May 2004 – Platform r.f. Platform invited Eulalia Domanowska (P). She held the lecture “Therapy of Shock” – about Polish art in the past decade. Platform invited Eualalia Domanowska(P). She held the lecture “Therapy of Shock” – about polish art in the past decade. Galleri Huuto from Helsinki was the third guest Platform invited in spring 2004 on the theme Citymind. Galleri Huuto was founded in November 2002 from a strong urge to create a new independent and non-commercial exhibition space. Huuto was founded by 24 young artists as a one-year project, but continued after this and has today considered one of the most interesting exhibition spaces in Helsinki. The founding members of Huuto had in common an interest to gather different kinds of artists without forcing any artistic manifest. For the Huuto-members it was natural to offer the all members the possibility to participate in the Platform exhibition. They chose to use a democratic and multi purposed technique – the dia-positive. All artists handle dia_positives in different situations in their work. Everybody has them. Some of the artists had concentrated on the Citymind theme and prepared their pictures especially for the exhibition, but there was also pictures from private archives or found pictures. In the exhibition space they built an installation of several projectors and over 400 pictures that was projected on different surfaces that simultaneously divided the room. The installation can be seen as mirroring a cityscape where the visitor move between the sounds and pictures that are constantly changing. The sounds was mixed with the clicking of the projector and together with the pictures formed a kind of “citymind”. At the opening night the Helsinki based Pink Twins played at the market square in Vaasa.